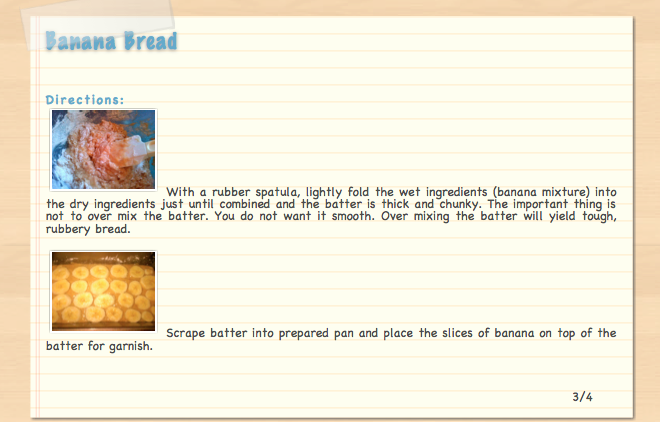 My favourite banana recipe to make is one that I found on Jamie Oliver’s website. 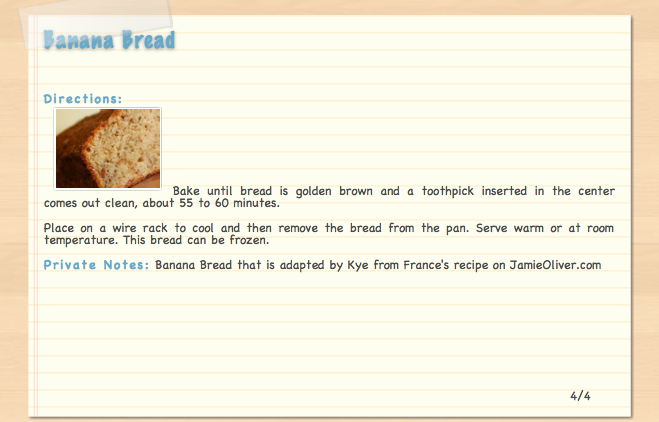 This recipe isn’t by Jamie though, it was posted by one if Jamie’s members “Kye in France.” It’s actually the best. I have adapted the recipe a little bit but not enough to call it my own. I’m no Anne Thornton! Did you hear how she allegedly stole Martha Stewart’s and Ina Garten recipes and aired them on her TV show, “Dessert First”?! If not, you can read about it HERE. 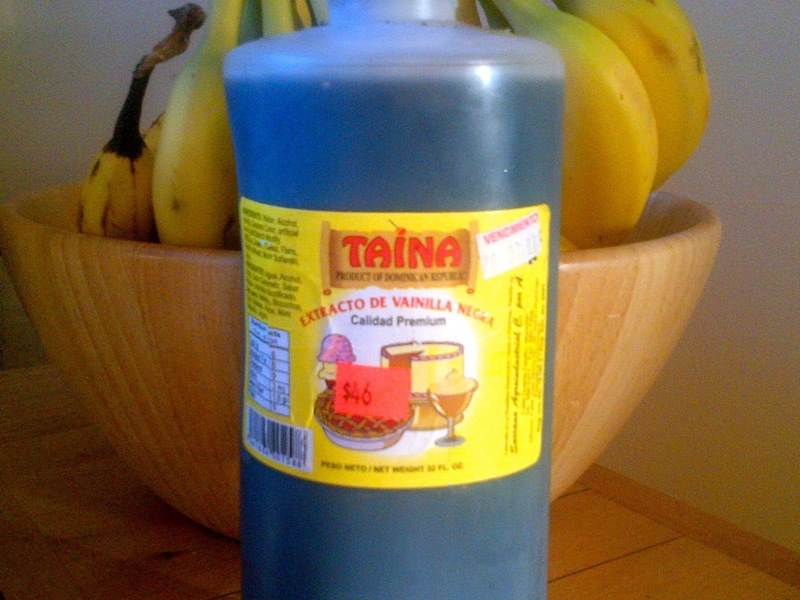 If you have any friends going to Mexico or the Dominican Republic, get them to pick you up some vanilla! It really makes your recipes taste SO delicious! And you can buy it for under a dollar! Best. Gift. Ever. 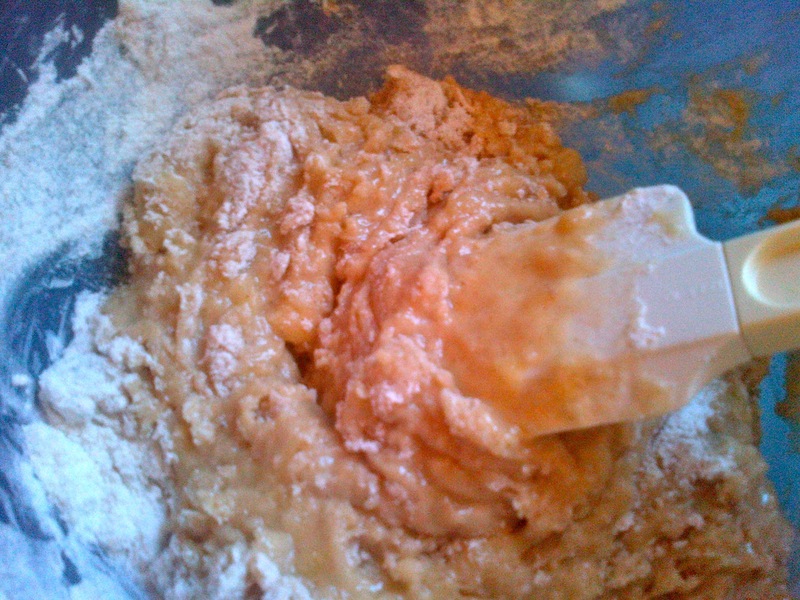 Another one is to make sure you fold your wet mixture into your dry mixture. 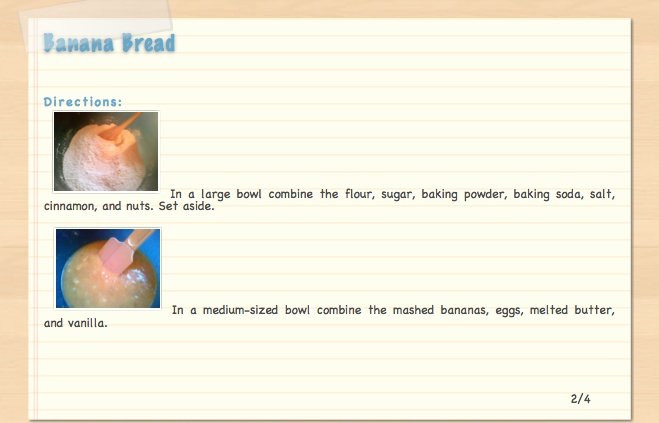 I don’t know what it is but if you fold instead of mix, you get a completely different bread! One more, make sure you beat your eggs before adding them to your wet mixture! 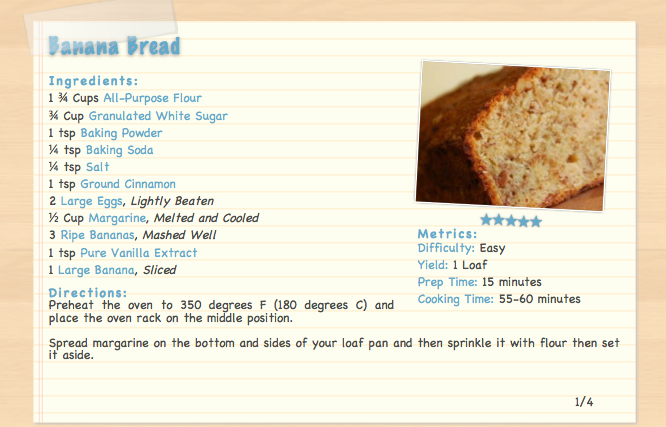 Here’s my* banana bread recipe! PS Did you enter my NUUN giveaway? 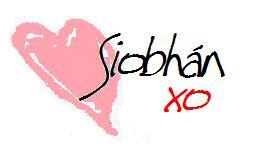 Contest closes Tuesday February 21st, 2012!